Don't Get Caught with SQL 2008! Consider a Data Migration Today! Don't Get Caught with SQL 2008! Consider a Data Migration Today!. 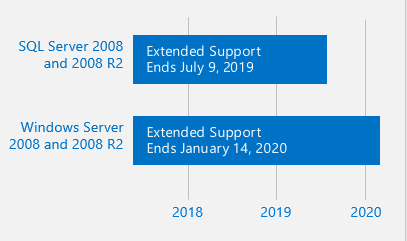 If you’re running SQL Server 2008 or 2008 R2, these versions are reaching the end of their support lifecycle. End of support means the end of security updates, which can cause security and compliance issues and put applications and business at risk. To avoid any disruption, customers are urged to consider options below. To avoid purchasing expensive extended security updates, you could upgrade your on-prem to SQL 2017. However, unless you have already started this project, given it's a significant project, it may already be too late. You may be out of time. If time is not on your side and your are seeking the biggest impact for your investment dollar, you should consider migrating to Azure SQL Database Managed Instance for a version-free option that will make this your last end-of-support transition (yeah!). In general, it's now easier to migrate all your workloads, including migrating older server software like SQL Server 2008 systems. If you been looking for a reason to move to the cloud --- this may be it! Consider the following migrations options. If Azure is your destination, you can simply migrate apps running on 2008/2008 R2 as is – and get three more years of security updates for free. This buys you more time to work on upgrading or modernizing your applications in the cloud. Scales on the fly - When demand for your app grows from a handful of devices and customers to millions, SQL Database is the database service that can scale along with you—on the fly and with no app downtime. Business Continuity – Your mission critical applications are core to your business and Azure SQL Database has all the critical features to ensure business continuity built in and deployed in seconds. Learns and adapts – As your app runs, Azure SQL Database continuously learns your unique app patterns, adaptively tunes your performance, and automatically improves reliability —freeing you to focus on your app. 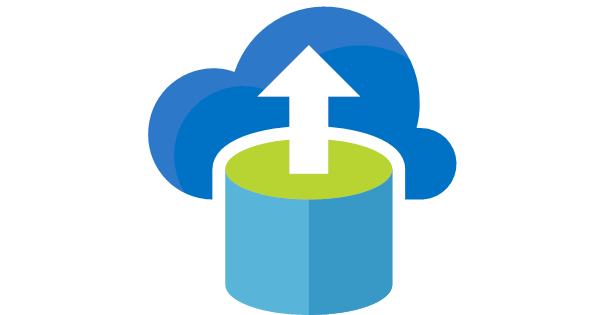 Works with your environment - Microsoft Azure SQL Database makes it easy to connect with a variety of technologies enabling you to focus on developing business logic and apps using tools you are familiar with. Recover from disaster - With automated backups and active geo-replication in up to four secondary readable locations you can be sure that your data is safe. Best of all, moving to an intelligent relational cloud database service requires few or no application code changes. If you would like assassinate planning or completing your migration, contact us as we would be happy to to host a discovery call and Q&A.